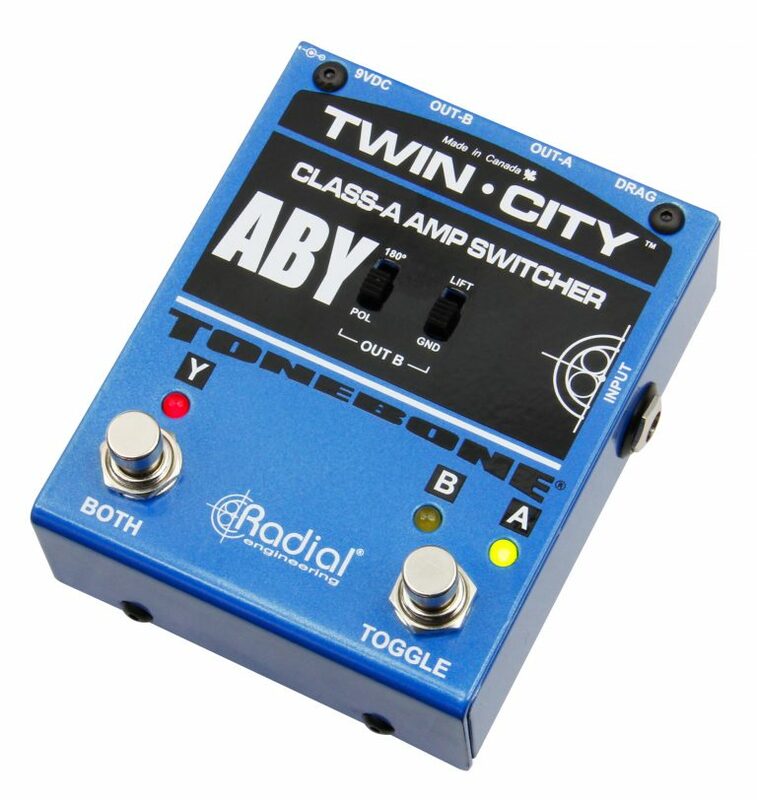 The Twin-City™ is an active amp selector that lets you connect any two guitar amps and switch between them or drive them both simultaneously without noise, loss of gain, or any degradation to your natural guitar tone. 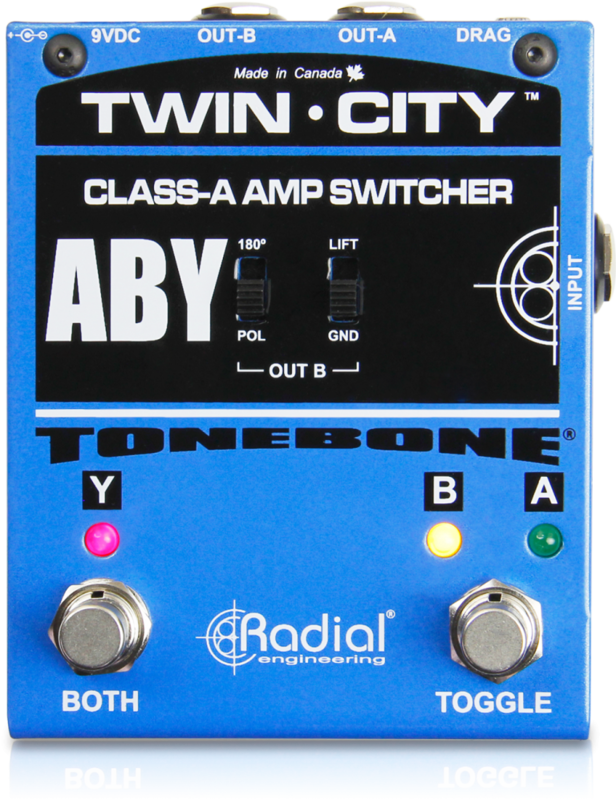 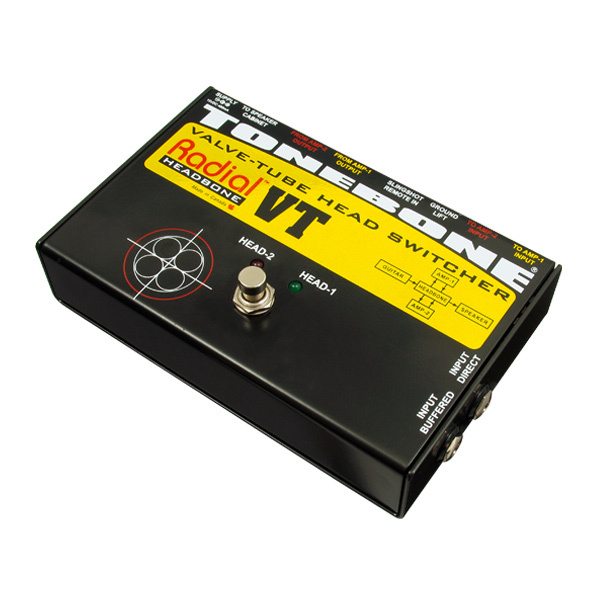 The Tonebone Twin-City uses a class-A input buffer to drive the amp outputs, which reduces susceptibility to noise and allows for completely silent switching on stage. 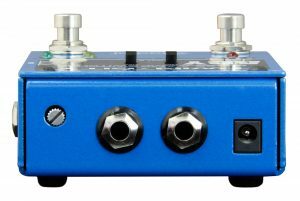 To eliminate hum and buzz from ground loops, the Twin-City is equipped with an isolation transformer on output-B, along with a ground lift switch and 180⁰ polarity reverse switch that ensures both amplifiers play back in phase with each other. At the input, Drag Control load correction allows you to recreate the natural load on the pickups as if you were connected directly to a tube amplifier, allowing the natural tone of your instrument to shine through. Combining amps can often lead to horrendous buzz and hum. The Twin-City eliminates the problem with transformer isolation and a polarity reverse switch that sets both amps in phase. 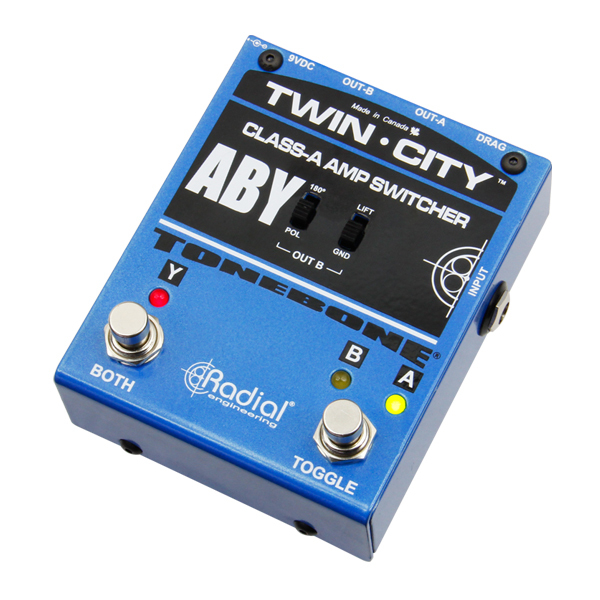 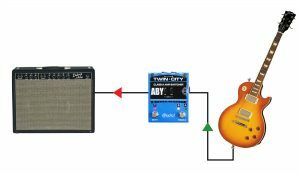 Switching channels on vintage amps is now possible using the Twin-City. 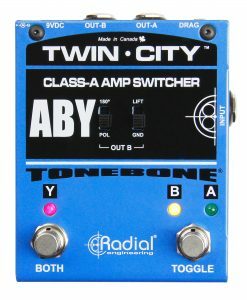 Connect the two outputs from the Twin-City to the two channels, make sure they are in phase by adjusting the 180° polarity reverse! 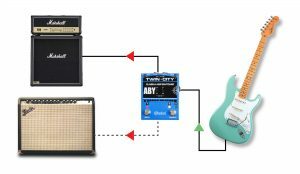 Why do guitarists have all the fun? 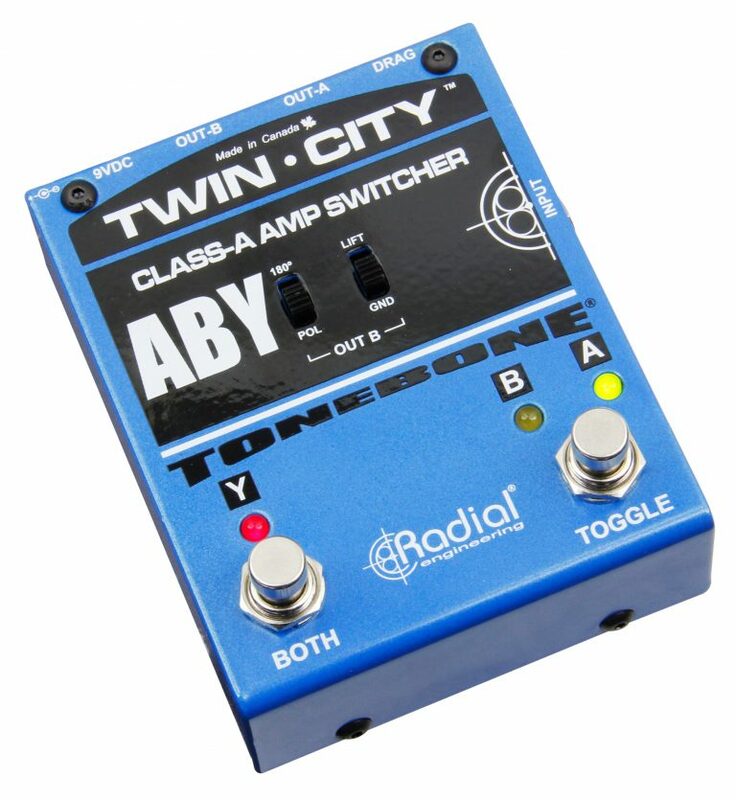 The Twin-City works as well on bass as it does on guitar. 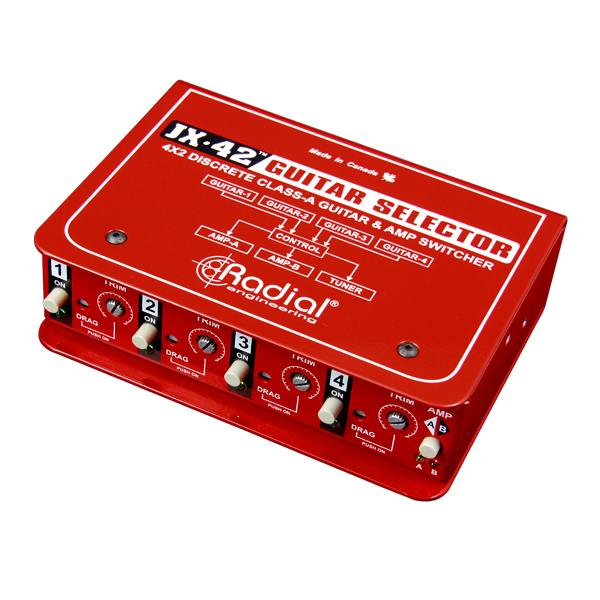 Simply select between your two favorite amps to deliver the ultimate tone for each and every song. "The ABY Switcher performed its functions admirably even when switching between very different types of amps, without the popping, humming, level leaps, and other gremlins that frequently plague the dual-amp user." 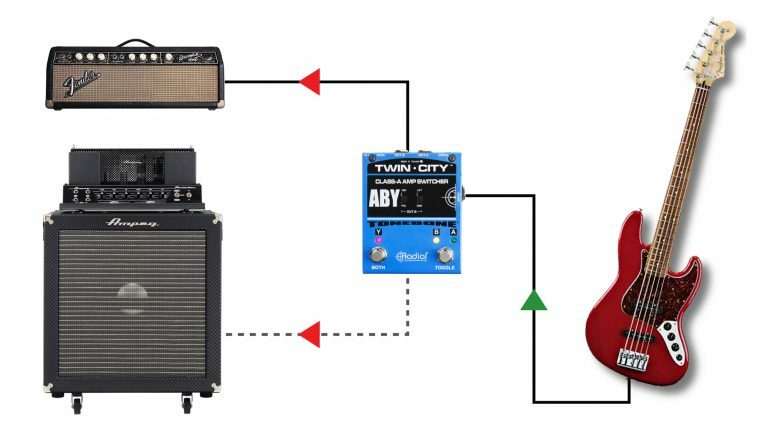 "I use a very high gain, dual amp setup and the LAST thing I need is more noise. The Twin-City lets me run both of my Boogies simultaneously and keeps things responsive AND quiet. 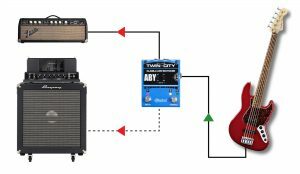 Now that it is in my rig, I don't know how I managed without it! 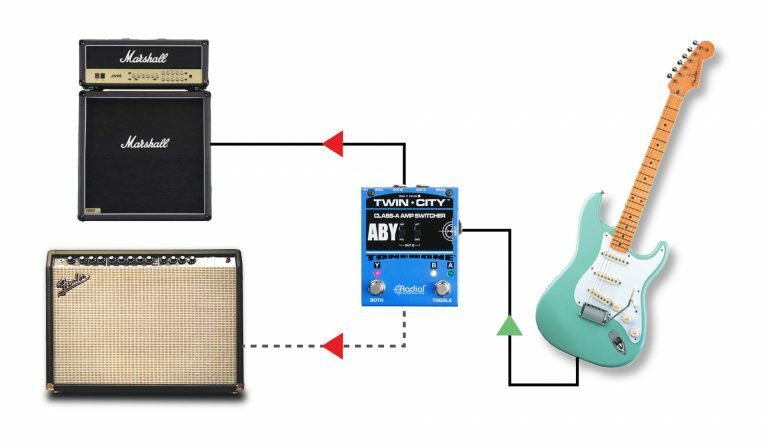 No more cheap ABY boxes for me... 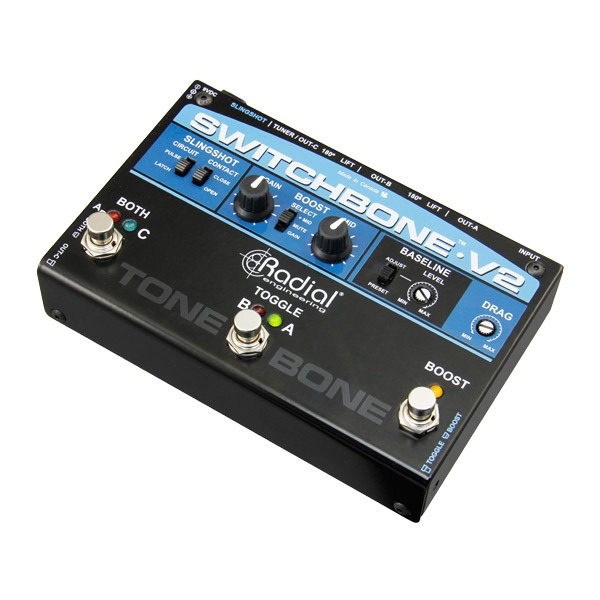 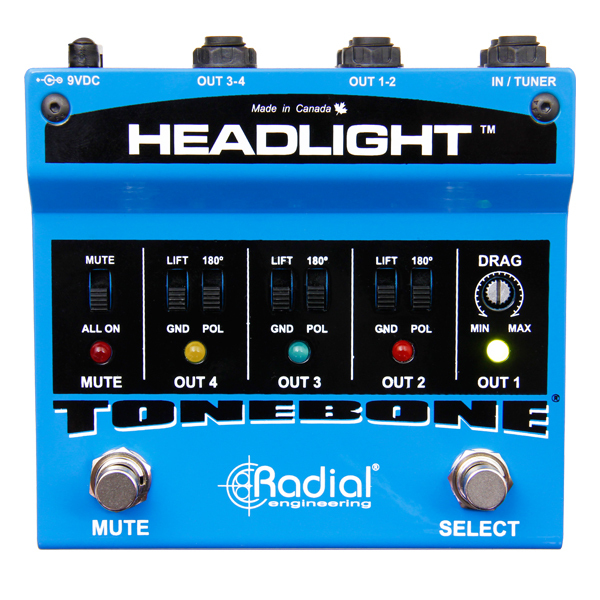 I've spent a lot of time dialing in my sound and Radial keeps it perfect!"